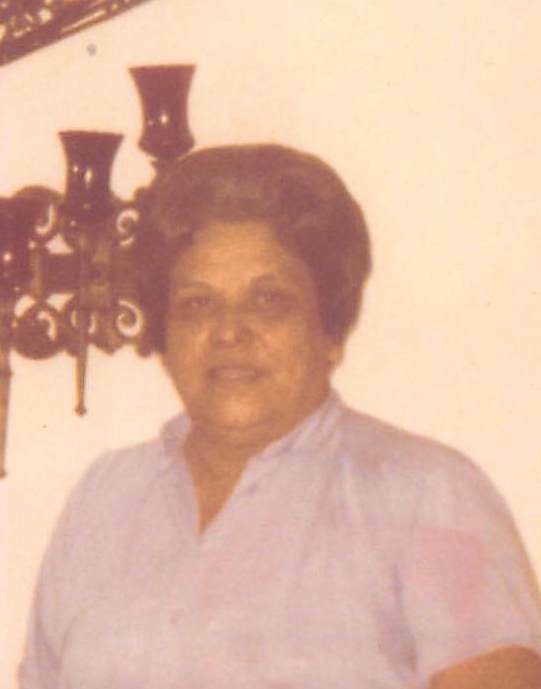 Alicia (Armijo) Longoria, 91, of Corpus Christi, formerly of Beeville, died Saturday, Dec. 8, 2018, in Corpus Christi. Mrs. Longoria was born Oct. 31, 1927, in Beeville to Viviana Fuentes and Narciso Armijo. She was a retired nurses aid and homemaker and was a Catholic. She was preceded in death by her parents; her husband, Jose Longoria; and a daughter, Melva Reyes. Survivors include two daughters, Diana Flores and Elizabeth (Adan) Perez, both of Corpus Christi; two sons, Joe Longoria and Roberto (Yolanda) Longoria, both of Corpus Christi; 13 grandchildren; and 20 great-grandchildren. Visitation will be held from 5 to 7 p.m. Tuesday at Trevino Funeral Home. A rosary will be recited at 7 o’clock. The funeral Mass will be celebrated at 10 a.m. Wednesday at Our Lady of Victory Catholic Church with Father Luke Thirunelliparambil officiating. Pallbearers were Roel Reyes, Johnny Martinez, Mark Martinez, Steven Perez, Mark Zapata and Adan Gomez.